Sixty to eighty percent of folks with a disability want to work. However, only 32.3% of workers with a disability are in the workforce. It is no secret that employment rates among individuals with disabilities are suffering. While many disabled individuals want to gain employment and contribute to the workforce, related barriers prevent all too many from realizing this goal. Some employers are hesitant to take on the expense and legal implications of employing an individual with disabilities – many of these businesses are also unfamiliar with the financial resources available to them. In response, Congressional efforts to re-incentivize the hiring and retaining of employees with disabilities have come to fruition. On July 24, 2018, Congress passed the Disability Employment Incentive Act (DEIA). The Act provides employers of disabled workers with a significant increase in tax benefits. In part, the Act includes increasing the monetary amount of tax incentives for businesses, raising the size and revenue limits for small businesses, and expanding the pool of targeted groups. Not to take effect until after December 31, 2018, the Act has great potential to spark renewed interest in hiring and retaining disabled employees. Who Initiated Disability Employment Incentive Act (DEIA)? Introduced in the Senate by U.S. Senator Bob Casey, in conjunction with Ms. Hassan, Mrs. Murray, Mr. Van Hollen, and Ms. Klobuchar, the DEIA proposed to increase the tax benefits to employers that hire and retain qualified individuals with disabilities. The enacted bill amends and enhances the current provisions within the Internal Revenue Code regarding employer tax incentives. What Do These Changes Mean for Employers? Tax credits to employers will see increased limits under the Work Opportunity Tax Credit. The credit for qualified employees will remain at 40% of the employee’s first year salary, but the countable salary limit will increase to $12,500 (previously $6,000). Additionally, employers that retain qualified employees for a second year will see a credit on 20% of the employee’s salary, also capped at $12,500. Second, the limitations imposed by the Disability Access Expenditures Tax Credit on the size and gross receipts of small businesses will increase significantly. Previously, small businesses were limited to 30 full-time employees or less – this number will now double. Previously, small businesses were limited to $1 million in gross receipts – this amount is now tripled. Additionally, the maximum tax credit will double to $10,000. The Architectural and Transportation Barrier Tax Credit will see significant improvement. Promoting ADA compliance, this credit will provide employers with up to $30,000 in credit for making accessibility modifications to existing structures. These expenses could include relevant modifications to physical barriers in facilities or transportation vehicles, as well as expenses to make technology accessibility. Who Are Qualified Individuals with Disabilities? This Act applies to employers who hire a person receiving Supplemental Security Income (SSI) Benefits, a person who is receiving Social Security Disability Insurance (SSDI) benefits, or a person who was referred to them though a state Vocational Rehabilitation agency. Hiring individuals with disabilities can sometimes mean greater expenses for employers. 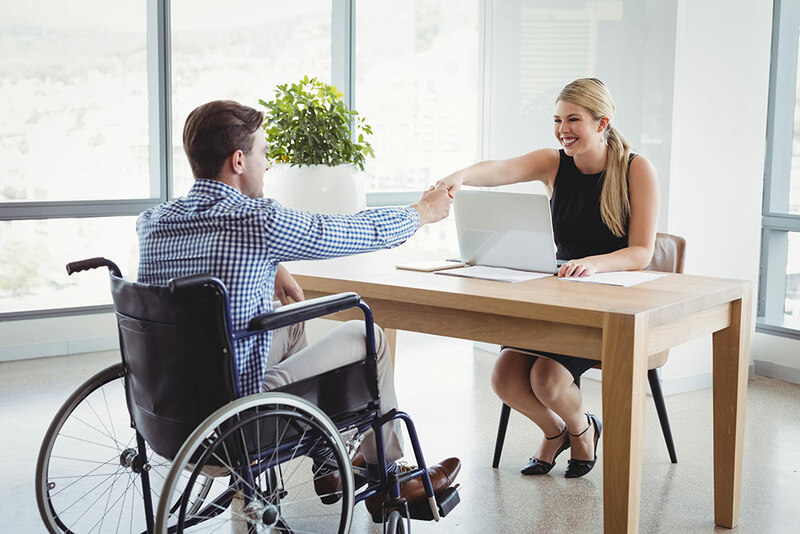 Despite anti-discrimination laws and required compliance with accommodations, employers are often hesitant to take on the potential financial costs of accommodating employees with disabilities. These fears stifle opportunities for many individuals to gain access to the workforce. Fortunately for employers and individuals with disabilities seeking employment, the DEIA provides greater incentives for employers to consider qualified candidates who have a disability. Check here to see if your state also has further incentives to employers hiring folks with disabilities.